Risca Fitri Ayuni is currently working as Lecturer in the Management Department, Faculty of Economics and Business at the University of Brawijaya, Malang, Indonesia. 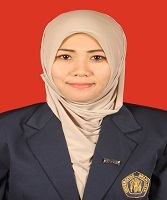 She has completed her Master of Management in 2011 from University of Brawijaya, Malang. Also, she completed her Master of Business Administration from National Chiayi University, Taiwan.